While the 2017 housing market was marked by renewed optimism fueled by stock market strength, higher wages and a competitive environment for home sales, 2018 delivered a more seasoned prudence toward residential real estate. Home buyers, now steeped in several years of rising prices and low inventory, became more selective in their purchase choices. Yet the appetite for home buying remained strong enough to drive prices upward and keep inventory low. 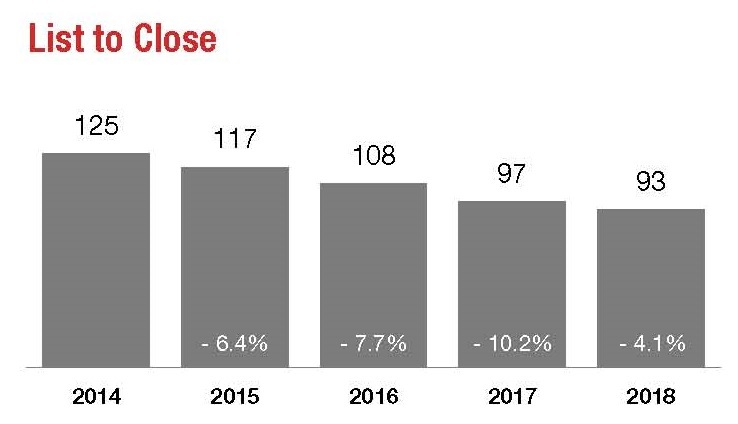 Closed sales were down 2.7 percent from 2017 to finish the year at 47,745. 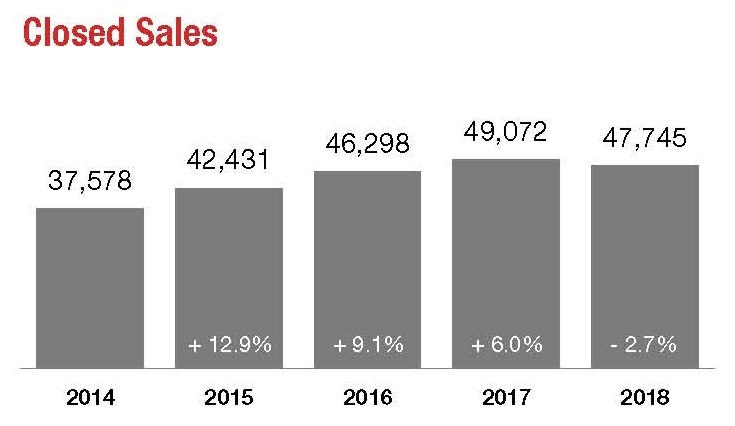 However, sales were 3.1 percent higher in 2018 than they had been in 2016. 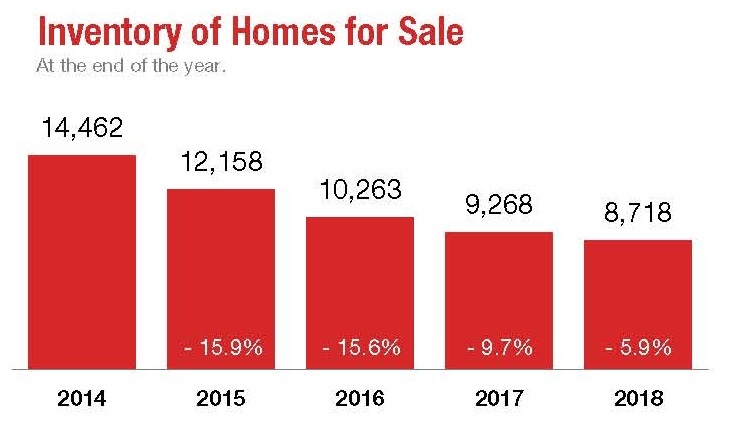 A booming economy would seem to indicate more sales, but fewer homes to choose from coupled with lower affordability made it tougher for buyers in 2018. Year-over-year, the number of homes available for sale was lower by 5.9 percent. There were 8,718 active listings at the end of 2018. New listings decreased by 0.3 percent to finish the year at 59,889. 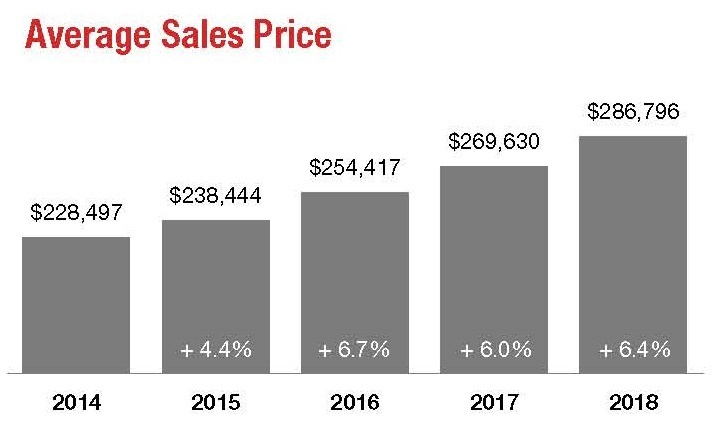 Home prices were up compared to last year. 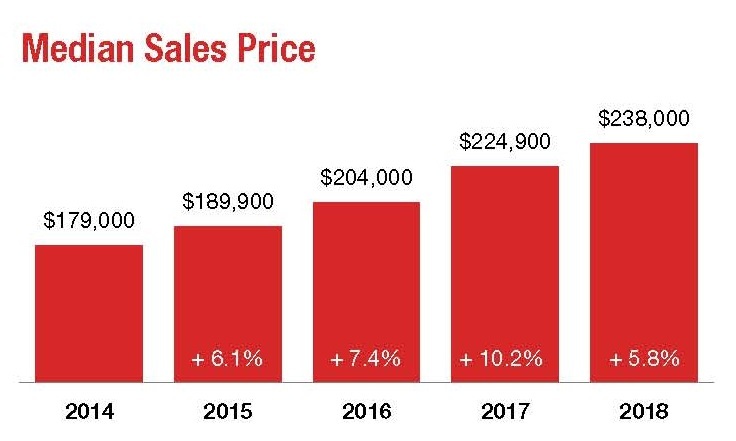 The overall median sales price increased 5.8 percent to $238,000 for the year, while the average sales price increased 6.4 percent. Single-family home prices were up 6.0 percent compared to last year, and condo-townhome home prices were up 9.7 percent. Homes continue to sell quickly in the Charlotte region. List to close was down four days from 2017 to 93 days, and days on market was down five days from 2017 to 42 days. Charlotte Regional Realtor® Association members and CarolinaMLS subscribers can access the full annual report here after logging in. The report is also available in SAM under the FastStats menu (Annual Report), or by clicking the “Monthly Reports” tab on the CarolinaRealtors.com home screen and selecting the “Annual and Quarterly Reports – Charlotte Region” tab. All data is from CarolinaMLS, Inc. This report is provided by the Charlotte Regional Realtor® Association. Members may use data from these statistical reports as long as the data is unchanged and attributed to CarolinaMLS. For more information about the local market, please contact a Realtor®.